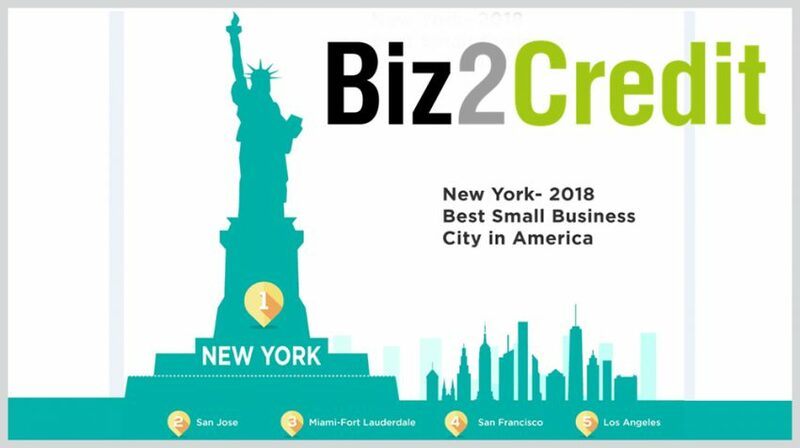 The 2018 Best Cities for Small Business Growth study by Biz2Credit has revealed New York is the best city for small business growth. 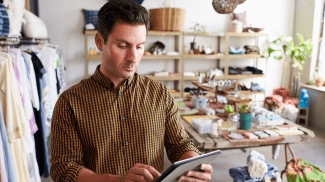 Biz2Credit looked at cities across the country along with the data of small businesses including annual revenue, credits scores, and time in operation. It was then analyzed with the company’s BizAnalyzer by factoring cash flow, debt-to-income ratio, taxes and other information to determine the best cities. The top 25 are all large cities, which give small businesses access to a large population and a diversified economy, providing more opportunities for growth. Biz2Credit CEO Rohit Arora, who oversaw the research, addressed this very point in the report. 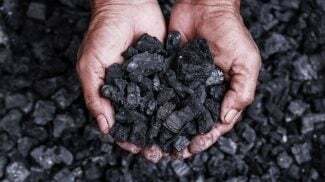 The study looked at close to 30,000 businesses with under 250 employees, less than $10 million in annual revenue and more than a year of operation. New York kept its number one spot from 2017 to remain on top in 2018. According to Arora, the thriving tech industry in the city is also driving growth in other sectors, including fashion, food and beverage and hospitality. It also helps that New York is an iconic city which attracts global talent across all industries. Looking at the top 10, California is the clear leader when it comes to states with the most cities on the list. The Golden State had six cities in the top 10, capturing the No. 2, 4, 5, 6, 9 and 10 spots with San Jose, San Francisco, Los Angeles, Riverside-San Bernardino, San Diego and Sacramento. Miami-Fort Lauderdale, FL; Washington, DC; and Austin, TX got the remaining top 10 positions at No. 3, 7 and 8 respectively. Again, New York tops the list in this category with $1,016,446. The No. 2 and 3 positions were reversed from the best cities list, with Miami-Fort Lauderdale, FL coming in at No. 2 by averaging $854,540 and San Jose, CA at No. 3 with $748,529. The age of the small businesses in a city also indicates which have the greatest startup growth. When it came to the cities with the youngest businesses on average, Portland, OR and Las Vegas, NV were tied with 44 months each. Atlanta, GA, Denver, CO, and Philadelphia, PA, rounded out the top five startup cities with with average business ages of 47, 48, and 51 months respectively. When sorted by average credit score in each city, California dominated the list with five cities. San Jose came in at No. 1 with a score of 654, followed by New York at No. 2 with 639, and Riverside, CA at No. 3 with 638. San Francisco and Miami-Ft. Lauderdale were No. 4 and 5 respectively with scores of 633 and 631. You can look at the Biz2Credit infographic below to get more information. Even though they say that NYC is one of the most expensive cities, it is still the most conducive for business. This means that there are plenty of opportunities. The more population a place has, the more opportunities it has. Yes, I totally agree with what you said. I think that New York is the best city for stablishing a business. This article is great and very inspiring. Thanks for sharing this article.